Nite Owl Creates: New Cricut Favorites & Free Shipping! 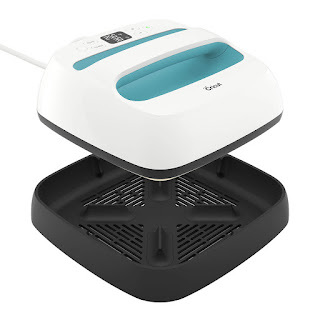 The Cricut Maker machine is the latest and greatest cutting machine which includes a rotary blade for cutting patterns (partnered with Simplicity) and a knife blade which will be coming by the end of the year. It cuts fabric quickly and safely and you don't even need backing on the material. The knife blade (when available) will be able to cut through heavy leather, balsa wood and mattboard. Imagine the possibilities! I love the docking station for a tablet or phone plus a USB port. Yeah! New Cricut Easy Press for iron-on vinyl. I can't wait to get mine and give it some good use! Get results in 60 seconds or less when making t-shirts, bags and more. Heats more evenly than a regular iron does. Mine is on its way and I cant wait to use it in Arizona with my sister next week to make some fun tee's! This is super awesome and handy for when you have complicated designs cut with vinyl - esp with glitter vinyl! 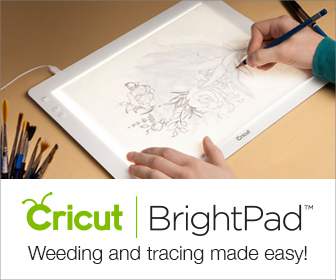 You can lay your vinyl on the BrightPad, switch on the light and bam, soo much easier to see for weeding or tracing! The code FALLSHIP will work until 9/30/17. This offer is good for the US and Canada. Click here to shop til you drop! Same way here as far as shipping goes. Always wanted a cricut and never got one. May try and make it a birthday present next year.